DART (Dallas Area Rapid Transit) gives locals and visitors nearly 72 miles of light rail and 120 routes by bus transit. They provide affordable and reliable transportation to locations throughout the city including airports, hotels, and destinations that feature shopping, restaurants, and attractions. Visitors can also enjoy neighboring cities, including Fort Worth, via a connector to Trinity Railway Express (TRE). 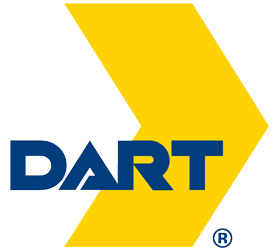 ACM Fans can take the DART system from the airport to our official fan hotels to make transportation a breeze! For more information including more detailed system maps, visit the DART website HERE.